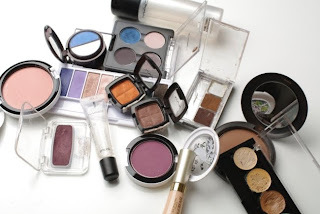 highlight: Shell Pearl | M.A.C. cheeks: Dirty Plum | M.A.C. This had me nerve racked. Sometimes I find it harder to work with a family of colors than it is working with colors that are obviously not alike. It's important to find a balance in making sure that the colors have a gradient effect but the same time each color is able to stand out on its own. Hopefully, I accomplished it with this look Tell me what you think! This was uber fun to play with. I especially like the orange liner under her lower lashline. 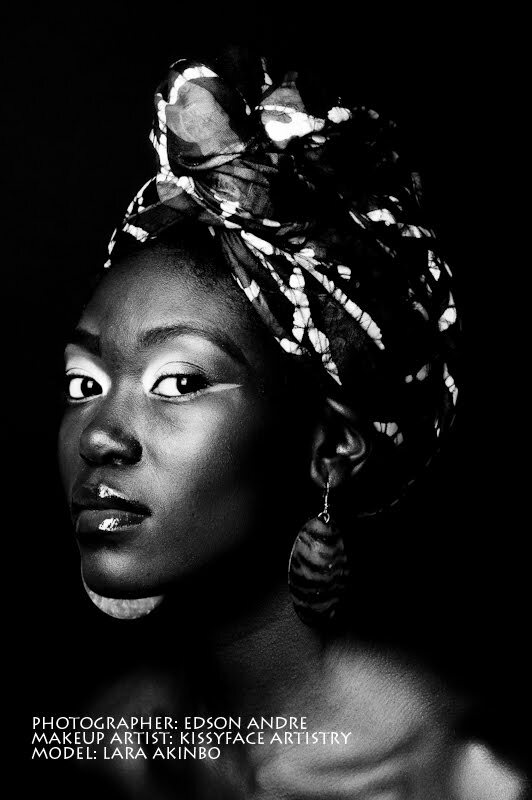 It even came out looking awesome in the black and white photography.Check out what I used to create the look. Skill Building: Scott Barnes, Teach Me! Sure, I pride myself on being self-taught but if ever given the opportunity to pick up some lessons from a famous make-up artist, I'd take it in a heartbeat. And it's looking like I'm getting that chance. 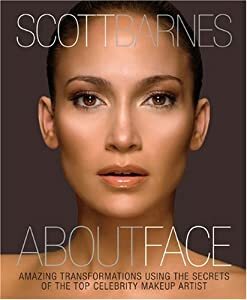 Scott Barnes has recently published "About Face: Amazing Transformations Using the Secrets of the Top Celebrity Makeup Artist." It's a compelation of what Barnes has learned during his career working with A-list celebrities and is broken up in three parts. 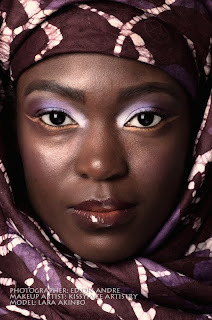 Part one focuses on the makeovers of real women where each woman comes in looking the best she thinks she can look. But Barnes then deconstructs their looks taking them from attractive to amazing. In part two, Barnes focuses on beauty rituals, key makeup items and preparations that a woman must embrace in order to look and feel their best. And part three focuses on the celebrities Scott Barnes has worked with. That description alone, has already got me sold.. But the price point isn't too shabby either, especially at $16.49. This is definitely going to be added to my book collection. Is anyone else considering on picking this up?